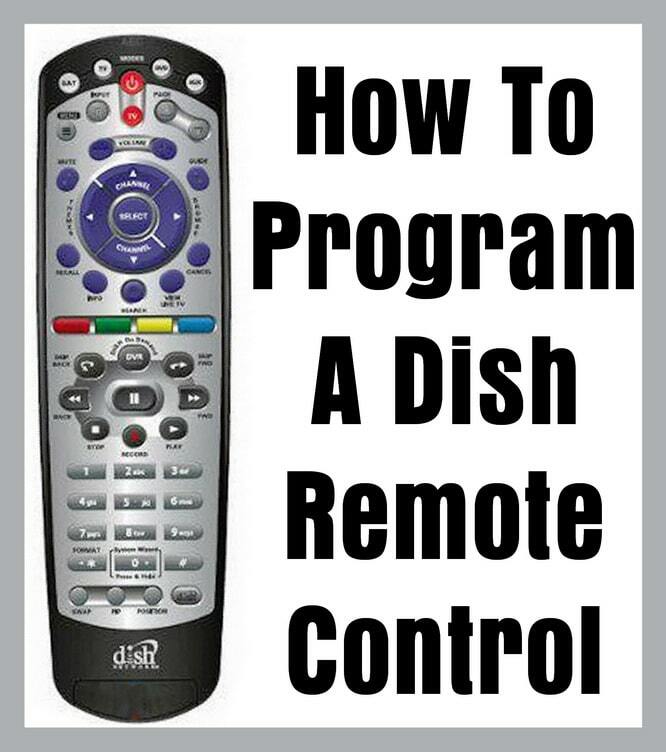 Here is how to Program a DISH NETWORK Remote Control. While at the device location, point your remote at the device. Press and hold the device mode button on your remote. All four mode buttons should light up. Press the receiver POWER button on your DISH remote. The device button should light up. Press the UP or DOWN arrow on the remote (about one press per second). During the scan, the mode light will remain lit when you are not pressing the up or down arrow, but will go out each time the arrow is pressed. Stop as soon as the device turns off, and proceed to step #5. This process may take several minutes. The TV should turn off. If the scan has cycled through all available codes, the mode light will blink rapidly for two seconds, and will light up only when you press the up or down arrow. This may take approximately 5 minutes. If the scan fails to produce a code that will control the device, advise the customer that Dish does not currently support the equipment. Press the POUND (#) button. The device Mode button should flash 3 times. Press the POWER button on your remote to turn the device on. If this does not work, return to step 1. The device should turn on and respond to remote commands.